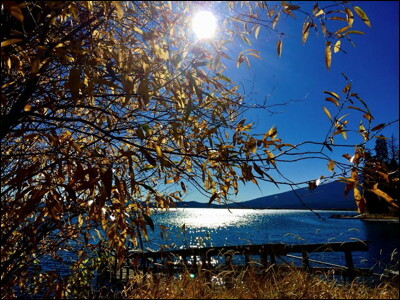 Autumn light over Upper Klamath Lake. Nearby is Rocky Point, site of the ancient Klamath village of Gumbat, "among the rocks." A sister Modoc village of the same name is located on the southern shore of Tule Lake.